Your work is absolute perfection. I love seeing you post. I tend to obsess over the smallest detail and things bug me if it is not right. I’m at a point in my life where done is better than perfect right now. Everything is rushed. I’ve had to forgive myself for a mistake here and there. I remind myself that RTW clothing is mostly mistakes. Your jeans look amazing! I’ve been having my own battle with denim vs perfectionism. I’ve decided I need to accept “good enough” while I’m in the learning process. Hopefully after several more pairs of jeans I’ll be a little more closer to perfect. 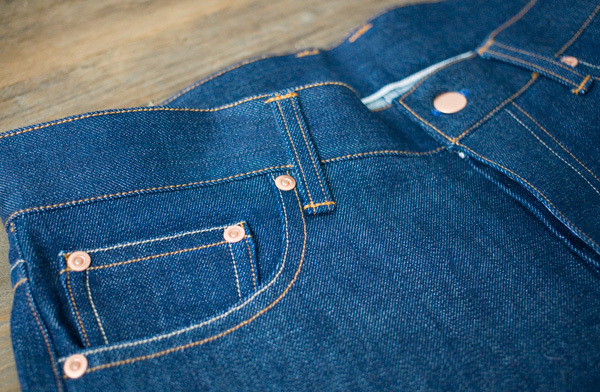 My problems are similar to yours – waistband issues and excess ease after the denim is broken in. Funny how I’d rather start a new pair than pull out the seam ripper! 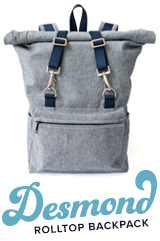 I’m really looking forward to your backpack pattern. I’m just dipping my toes into jean-sewing. I’m glad to hear of your frustrations because it reassures me that mine are “normal.” I’ve yet to make a pair that feels of an acceptable quality. I’m doing exactly what you describe here- procrastinating about fixing two salvageable pairs that require some seam ripping and re-sewing. Your work is inspiring! Look forward to more posts. These look pretty great to me Taylor! And I always do more of a medium topstitch length but now you have me considering a much shorter stitch…. I also recently unpicked a pair of jeans that were not “quite” right. They were much stretchier than my pattern called for and I was swimming in them until I took the time to make them fit properly. I think going back and salvaging those projects is really important… but i also think it’s important to take it easy on ourselves every once and a while. Perfection is a dangerous goal. Very excited for the pattern, but take your time! You’ll feel so much more confidant when you make it the best you can. 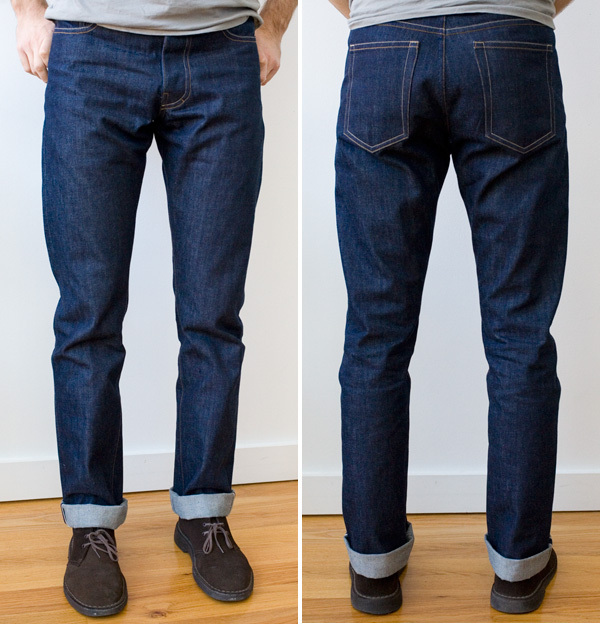 I would also put in a request for a selvedge jeans pattern for men – there is nothing on the market! I’m sure you could get some press form all the big denim nerd blogs. Thanks Heather! You are right, perfection is a dangerous goal, and taking it easy on ourselves is something many of us probably need to do more often. I also prefer a medium top-stitch on heavier fabrics like denim, but I made these two years ago before I knew what I liked (or knew better). When I attached the new waistband, I had to do a stitch length somewhat in between the original tiny stitches and what I currently prefer to make all of the stitching blend together. oh man, I admire this so much! I have a pair of jeans that I have been wearing for almost a year (!!) that I need to take apart and fix the fit…I think taking off the waistband and belt loops is so daunting, but in reality it probably wouldn’t take that long. Thanks for the inspiration, and I am happy you are taking your time with the backpack pattern- it’s going to be great! Oh man, it’s so hard to drum up the motivation to fix an old project, but it’s so worth it when you have a wearable garment at the end of the process! I made a cocoon cardigan last year that just swamped me, and I took a shortcut with my binding that really didn’t look nice. I didn’t wear it once in 9 months! Recently I made the time to fix it, and now I really like it! But I’ll confess that sometimes when I’m not happy with something, I’ll just give it a new home rather than go to the trouble to fix it. 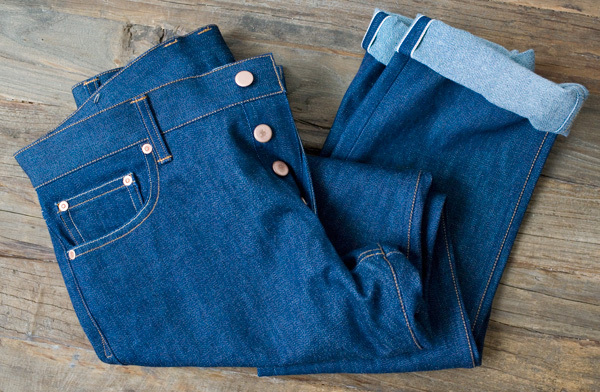 One last task on your repaired jeans, putting something on the leather patch. How about a TT graphic logo, maybe cattle brand style? In the past, I have used Sharpies, but leather dye is the best medium. 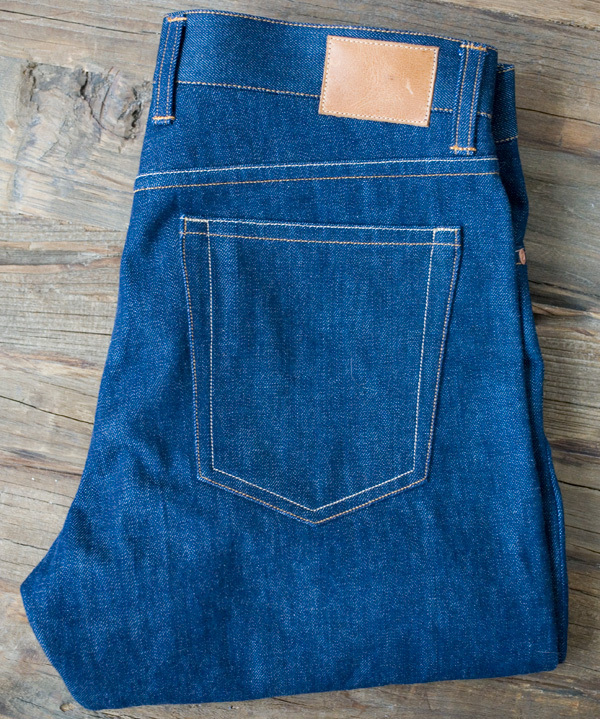 The jeans look terrific, professional, just as great as any custom selfedged jeans maker out there. I do the same thing with sewing projects, the seam ripper is my best friend. I will tear parts out and redo, until it’s as close to perfect. Definition of perfect: Looks the same as high end RTW if not better, quality wise, stitching wise. Looking homemade is not an option. Great looking jeans. I totally understand what your are talking about. Once you go back and fix it, you feel so much better, but getting to that point…not so much. I have never heard of selvedged denim. Thanks for the link. My husband wears the cowboy cut Wranglers, that denim is raw, I wonder if it is selvedged as well? Yesterday Put This On featured you again, so today I read your entire blog. Impressed with the quality of your work, and a great inspiration to dudes like me. I’ve spent the last few sewing sessions going back and fixing things. Often things on clothes I do wear, but every time I wear them I think ‘I like this… but I’d like it more if it were a bit looser/tighter/the collar sat better’. I’m finding that once I have good me-makes in my wardrobe, that’s all I want to wear. ‘Good’ being the important qualifier here. It’s definitely worth it to me to spend more time on something to make it something I’ll wear. Sometimes, too, the issues don’t become apparent until after a few wears. Being willing to wade back in, unpick almost all of a garment and remake it, is the difference for me between something I love and something that’s just ok. It feels like moving backwards but really it’s moving forwards!